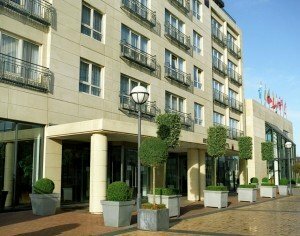 Accommodations in Dublin and the East are ideal offering easy access to golf at the various championship courses such as Portmarnock Old Links, The K Club, The European Club and Royal County Down and also for sightseeing in Dublin City. 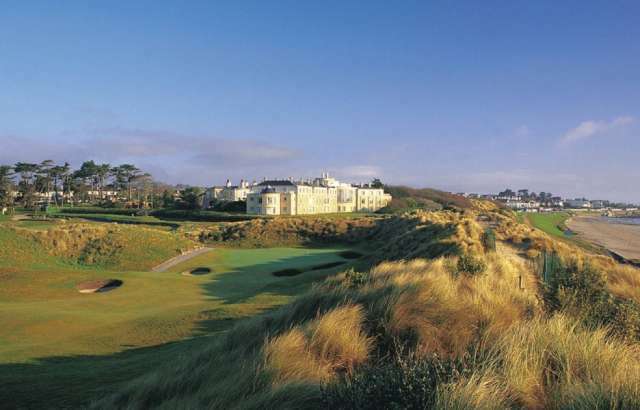 Situated in splendid surroundings, overlooking the beautiful islands of Lambay and Ireland’s Eye, Portmarnock Hotel and Golf Links was originally the home of the Jameson family (of Irish Whiskey fame). The house has been tastefully transformed into a magnificent international hotel, while the surrounding land has been moulded into a superb links golf course at the hand of Bernard Langer. And having opened for business in 1996, Portmarnock Hotel & Golf Links is already widely acknowledged as one of Ireland’s leading golfing hotels. 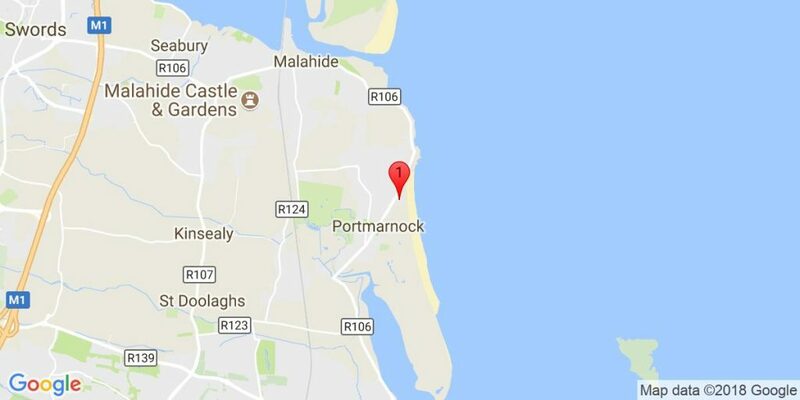 Given its beautiful setting, it’s hard to believe that The Links (as it’s known) is only 11 miles from the bustling streets of Ireland’s capital city but then that is one of the property’s major benefits – peace and serenity, yet close to Dublin city. Each of the 103 bedrooms has been cleverly designed to ensure that they overlook either the sea or the golf course and while the suites certainly offer a different degree of luxury, all the rooms offer exceptionally comfortable accommodation, with superb facilities. 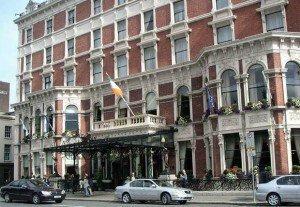 Dublin is renowned for its Georgian architecture and The Merrion Hotel is a working, living example of this bygone era. 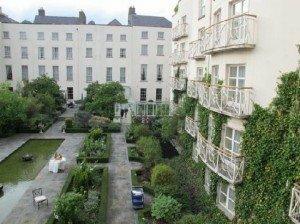 The hotel comprises four meticulously restored listed Georgian townhouses and a specially commissioned contemporary garden wing, arranged around two private period gardens. This hotel will transport guests back to Georgian times and has been sympathetically designed to complement the Georgian interior using period colours, antiques, and 18th century style furniture and fabrics. The classically elegant bedrooms and suites, with delicate Rococo plasterwork ceilings and magnificent original marble fireplaces, capture the grandeur of a glittering era. In the hotel’s drawing rooms, guest can relax in comfort and examine the glittering French chandeliers and the priceless Irish paintings from the hotel’s private art collection. The hotel has the magnificent Tethra Spa offering an 18-metre swimming pool, steam room, gymnasium and luxurious treatment rooms. 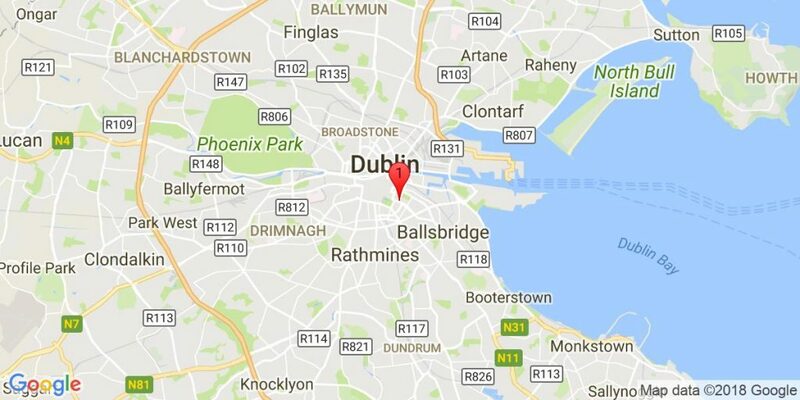 Situated almost directly opposite the Irish Government Buildings, on the doorstep of the hotel is Merrion Street, where the National Gallery and National Museum provide a wonderful insight into the nation’s heritage and culture. A short walk leads to The Royal Hibernian Academy of Art in Ely Place and the adjacent “golden mile” of lively pubs, shops and restaurants dotted around St. Stephen’s Green. 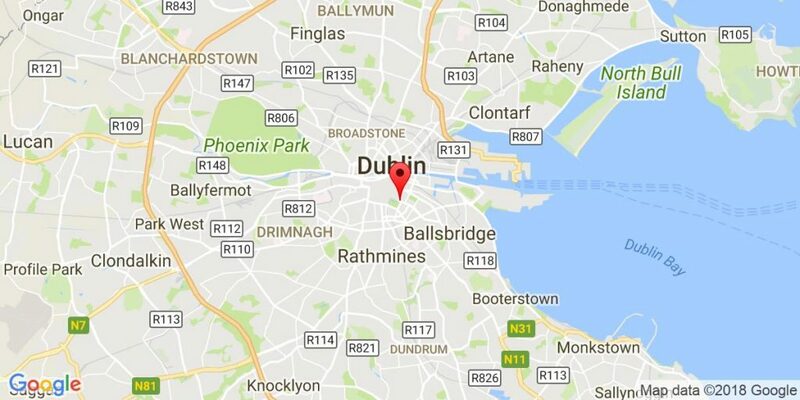 Grafton Street, with the latest designer shops and restaurants, is but a leisurely stroll away, while the famous university, Trinity College, which is home to the world-renowned Book of Kells, is a five-minute walk from the hotel. 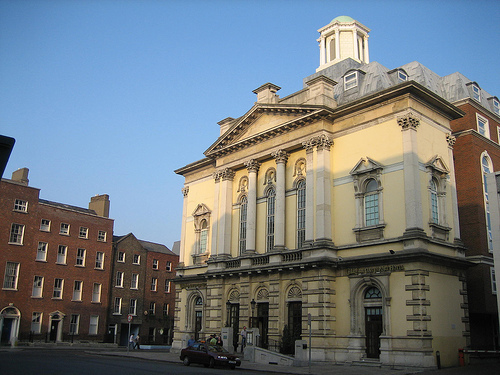 This Dublin landmark exudes elegance and a real sense of history. The public areas are spacious and offer a range of dining and bar options. There is a selection of bedroom styles and suites available, many with commanding views over St. Stephen’s Green. The Saddle Room is the main restaurant featuring a steak and seafood menu with a contemporary twist, while afternoon tea is served in the elegant Lord Mayor’s Lounge. 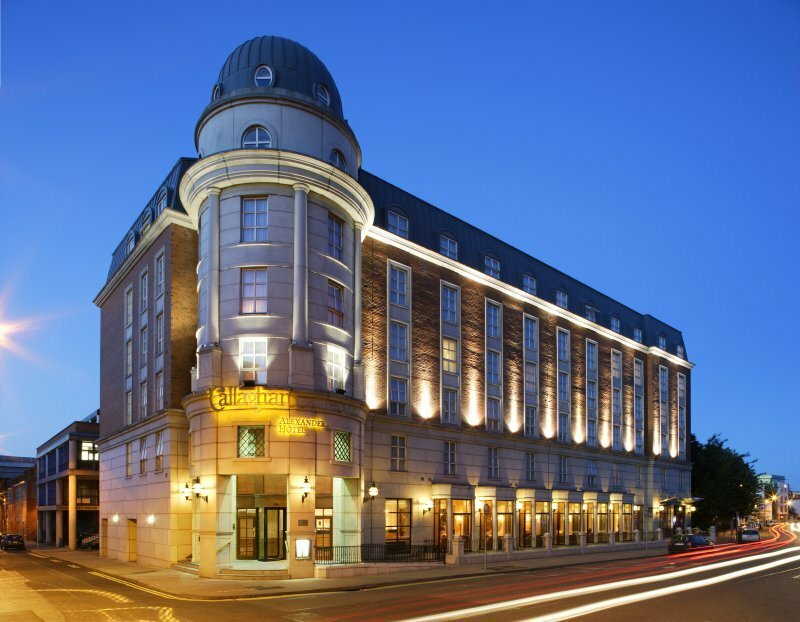 A 5 star hotel, located just off Grafton Street, Dublin’s premier shopping district, this is an oasis of calm where guests are well cared for the amid smart, contemporary surroundings. Spacious public areas include the relaxing Gallery Lounge where afternoon tea is popular with shoppers taking a break. Café Novo is the hotel’s buzzing street-level brasserie bar, while Wilde-The Restaurant is an elegant grill with an emphasis on seasonal and artisan fare. A range of stylish suites and bedrooms is offered; many overlook the roofs of the city. Valet parking is also available. 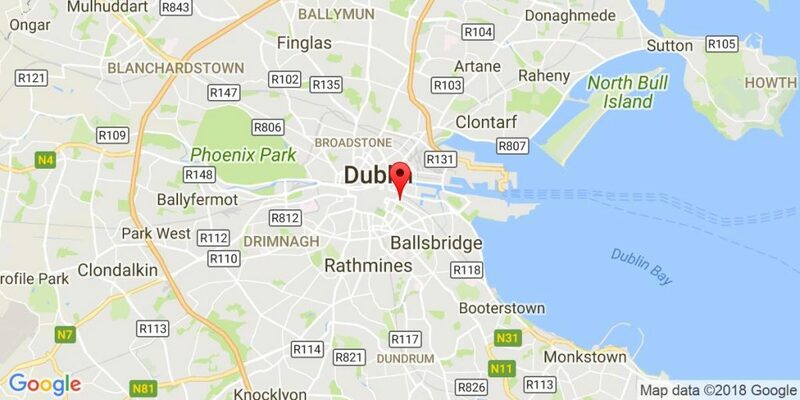 Overlooking the 48-acre Herbert Park, this hotel is located around one and a half miles from St. Stephens Green. This stylish, modern hotel offers an award-winning restaurant and modern rooms. 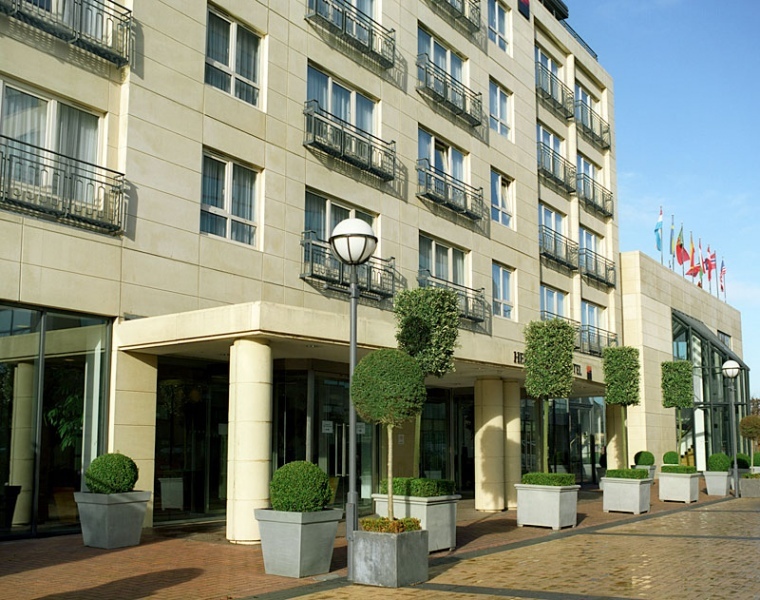 The air-conditioned rooms at the Herbert Park Hotel are decorated in light colours and feature large windows. They include a Play-station with the TV, a safe, and private bathrooms with hairdryers. There is a 24-hour room service menu. 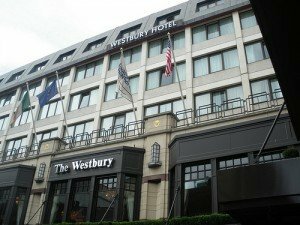 With views over the park, the restaurant serves modern international and Irish cuisine, including fresh seafood specials. The bright and airy Terrace Lounge serves light snacks, afternoon teas and an evening menu. The former Merrion Hall, the hotel stands in a quiet corner in the heart od Dublin City. 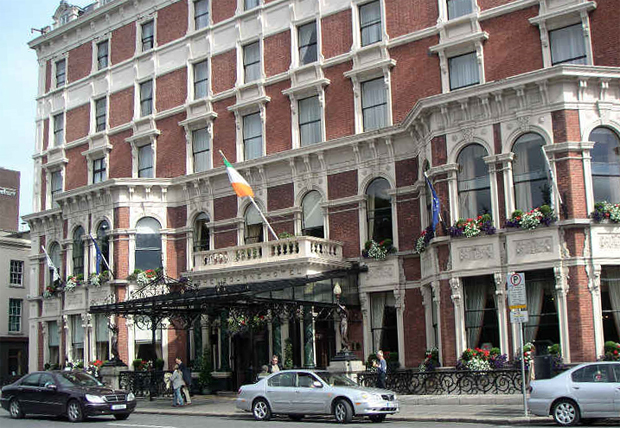 With rooms dressed in soft rich fabrics, artwork and light wood furnishings, O’Callaghan’s overlooks St Stephens Green. With Wi-Fi throughout the hotel, O’Callaghan’s also has a bistro, restaurant and bar. The Hotel has a beautifully restored Georgian Library with staccato ceilings and open fireplaces. There is a modern glass atrium providing a stunning view of the park. Air-conditioned rooms are individually styled in modern shades of red, deep blues and gold. 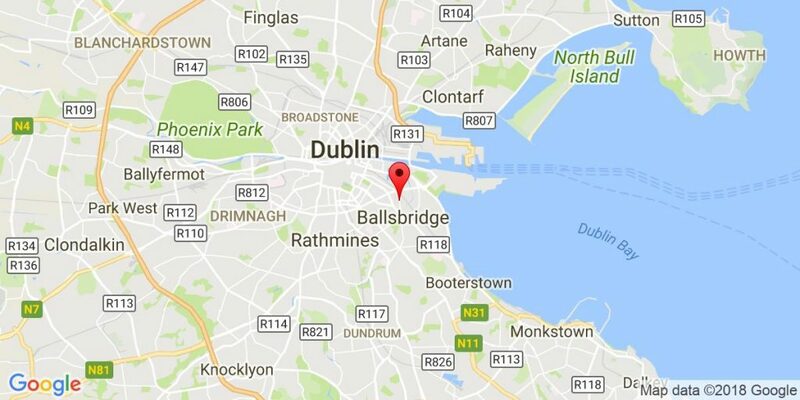 Many have terraces with views over Dublin City and all include Plasma TVs and US and European sockets. The Pie Dish Bistro combines classical Georgian architecture with a modern bistro style cuisine. The Magic Glass Bar is decorated in warm terra cotta tiles, soft copper lighting and serves fantastic cocktails. 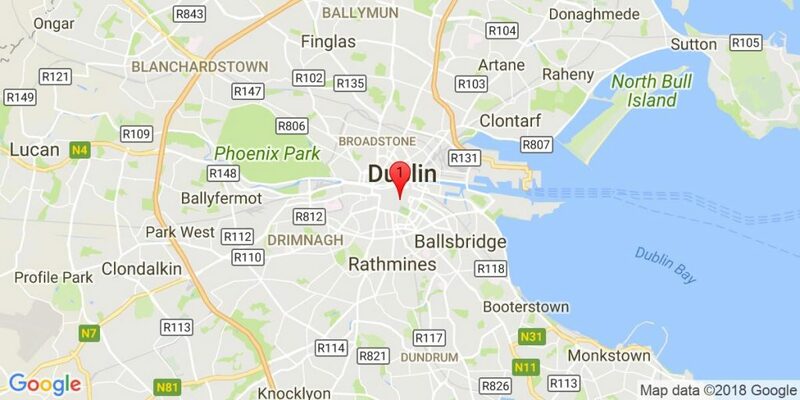 The O’Callaghan is within walking distance of Grafton Street, Merrion Square and Trinity College. 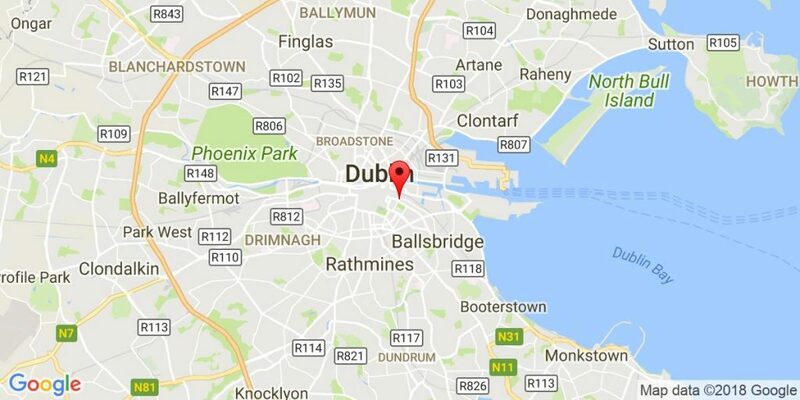 The Luas tramway stop is located in front of the hotel and services Dublin’s south side. Situated in the heart of Georgian Dublin, the Alexander Hotel is the ideal base for those who wish to stay in a superior international hotel within easy walking distance of all the attractions of Dublin City and its bustling nightlife. 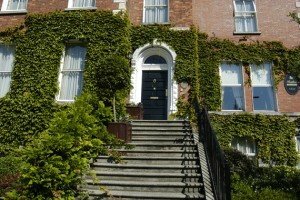 Visitors are free to explore the superb shopping area of Grafton Street, take in visits to the likes of the Guinness Hopstore, the National Art Gallery and Natural History Museum or stroll through picturesque St. Stephen’s Green. Style has taken precedence over everything except service at the Alexander, while delightful soft furnishings and special features adorn the public areas, creating a unique ambience. Each of the guestrooms affords the visitor every modern amenity in comfortable surroundings, while the suites are particularly luxurious. Winners Bar, with its sporting theme is open to the public and is an ideal venue for a drink, while Caravaggio’s Italian Restaurant, with its contemporary design, offers a unique dining experience. Butlers Town House was lovingly restored and extended in 1996, creating a unique property, reminiscent of times past. Rooms have been individually designed to capture the ambience of the Victorian era, whilst including all modern comforts. This combination serves to make Butlers a very special place. Individually designed bedrooms, air-conditioned throughout. Secure Car Parking. Conservatory Style Breakfast Room. Each of the twenty rooms are well appointed with much time and effort spent on ensuring your comfort. Luxurious five-star hotel and golf resort, venue for the 2006 Ryder Cup. 69 superbly appointed en-suite bedrooms, including 11 presidential suites in the hotel. 24 two-bedroom garden and fountain suites adjoin the hotel. The golf course played host to the 2006 Ryder Cup. 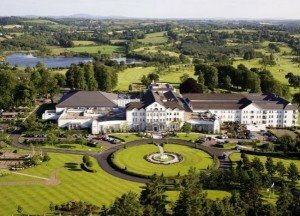 Recognised as Ireland’s finest five-star hotel, the Kildare Hotel & Country Club, or the K Club as it’s also known, is set in 330 acres of gardens and magnificent countryside on the banks of the river Liffey. This elegantly restored Georgian house was opened in 1991 and today offers the highest standards of comfort, service and cuisine. A luxury four-star country house and restaurant, with 18-hole championship golf course set in 530 acres of parkland. 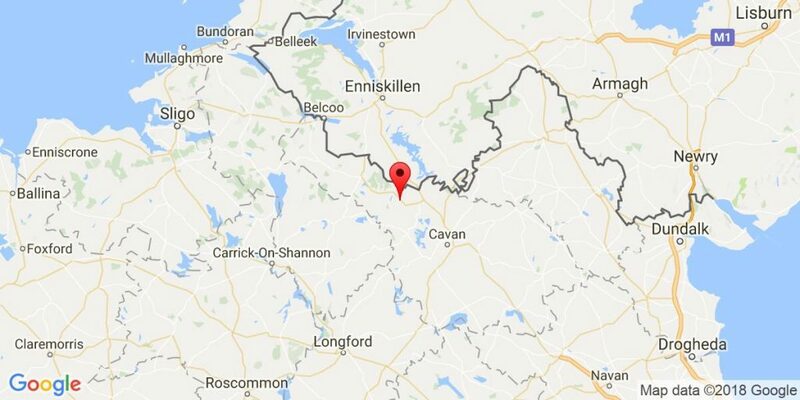 The original Rathsallagh House was built between 1702 and 1704 and was occupied by William Ryves, a local magistrate who played a prominent role in quashing the 1798 rebellion. 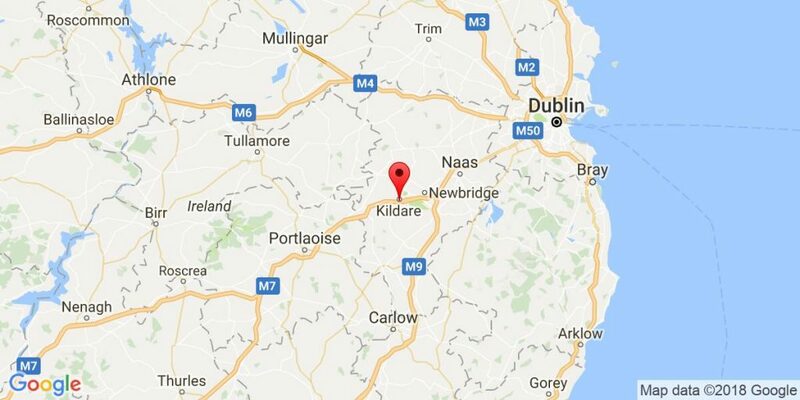 This country house is set on 530 walled acres of peaceful parkland and is located in the most beautiful countryside in eastern Ireland. 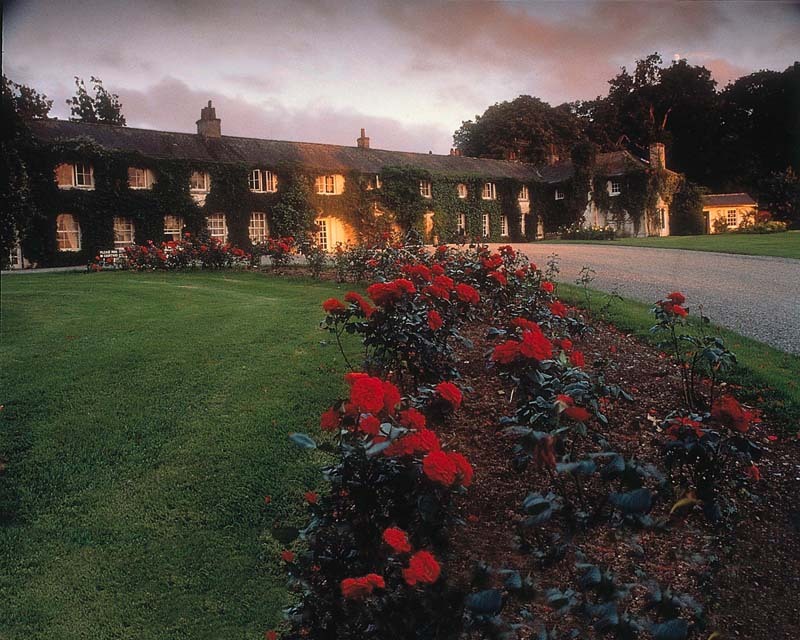 Since opening its doors as a hotel in 1998, Rathsallagh House has won numerous awards for its cuisine and hospitality and has been voted the “Country House of the Year” by the prestigious Georgina Campbell Guide. The atmosphere is relaxed with log and turf fires burning. Each of the bedrooms, most of which offer views of the golf course and gardens, is individually appointed, named and decorated to an extremely high standard. 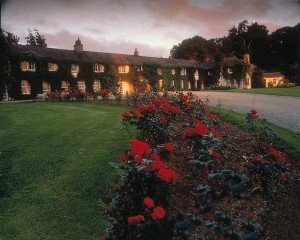 Rathsallagh has a lot to offer besides its unique setting, luxurious accommodation and superb championship golf course. The swimming pool and sauna is the perfect place to unwind following the day’s exertions and guests are free to stroll around the walled gardens or play a game of tennis. For the more adventurous, clay pigeon shooting, archery and horse riding can be arranged. 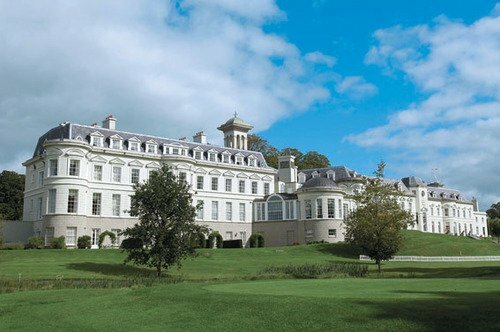 Set in 300 acres, including 50 acres of lakes, the Slieve Russell Hotel Golf & Country Club offers a unique experience in relaxation and leisure to our guests. Enjoy excellent cuisine, professional and friendly services in opulent surroundings. The superb leisure facilities include swimming pool, saunas, steamroom, jacuzzi, fitness suite, tennis, squash, snooker, Hair & Beauty Salon, crèche and games room. For the golfer, the 18-hole Championship Golf Course ensures a challenging game. A nine hole par three golf course and Driving Range are also available. 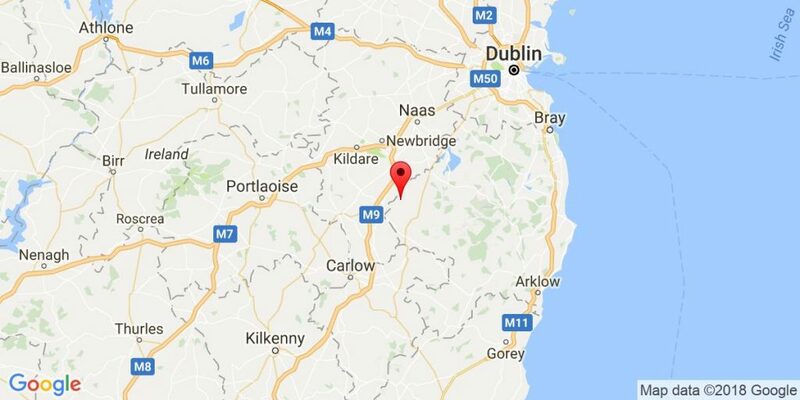 Located just 2 hours from Dublin city centre, the Slieve Russell Hotel offers a haven of comfort and relaxation …. a place where you will wish to return again and again.